Just prior to that, I’d been invited to the official KI FEASTival launch at the Central Market. While KI might be deservedly well known for wildlife, its food and wine industry is blossoming and the annual FEASTival, now in its fourth year, is going from strength to strength. This year, FEASTival runs from 1 – 8 May and there are a ton of events on a wide range of scales. If you’re seeking a smaller, more intimate experience you will find those, alongside much bigger dinners for a hundred or so people. Over the last few months I’ve been fortunate enough to speak with a number of KI food and wine producers and they have all been enthusiastic about their produce and passionate about opportunities to share it with the wider South Australian community. For many of them, the island’s isolation, while generally a blessing, can cause problems when it comes to ‘exporting’ to the mainland so visiting is the perfect way of sampling as much as possible! 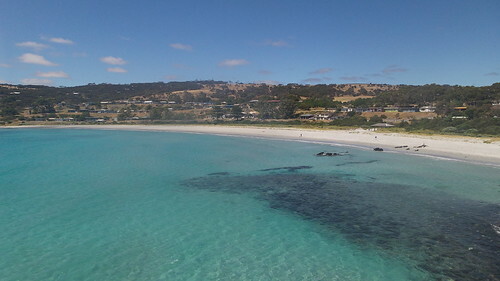 From my own trip to the island, my two must see picks would be Island Pure, sheep dairy and soon home to the island’s only brewery and Kangaroo Island Spirits. Even if you don’t like gin, the KIS cellar door is just remarkable. If you haven’t been to KI for a while (or if you’ve never been!) then early May is the perfect time to go. At the moment I’m busy working on a variety of ‘things’. In mid-August last year the small company I worked for ran out of cash (the second time this has happened to me!). I finished up regular paid work just a few weeks before we were due to go on holiday so I didn’t invest too much effort in pursuing more work. Before going on holiday I pitched a few story ideas around the place – I enjoy writing and it is obviously something that fits in with the somewhat erratic life of the primary aide of a pre-schooler. A lot of attitudes may have moved on but when it comes to small children and kindy and school hours the system very much favours having one parent who can do a lot of running around unfettered by things like a 9-5 job and, say, an hour commute each way. I was very fortunate to pick up a few freelance writing gigs at the end of last year … some of which are now just hitting the press. The current James Halliday’s Wine Companion Magazine contains a wine/travel feature I wrote about Kangaroo Island. Some friends and I celebrated a joint significant birthday there in early December and while I’m yet to blog about my adventures (and given the backlog don’t expect that to happen in a hurry!) you can just buy the magazine and enjoy my words and the stunning pictures (not mine). I’ve also been lucky enough to be doing some work with the team at SA Life which has been great. It has covered quite a range of topics so you should by picking up the current issue of SA Gardens, watching out for some features in issues of SA Life AND absolutely you should be signing up for the new SA Life food and wine enews, which comes out monthly. What is particularly pleasing is that all of these ventures have involved celebrating our fab state. No one needs the UK’s Times to tell us that Adelaide and South Australia are amongst the best places on the planet! In between these things, I’m actually still cutting code (which I enjoy, so that’s a good thing), teaching wine courses and generally succeeding in keeping myself out of mischief. 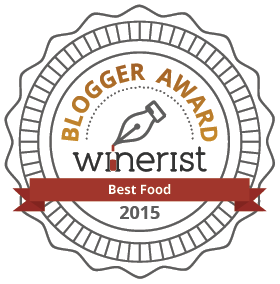 I was also stoked that in March Eating Adelaide was named Winerist’s Best Food Blog for 2015. Winerist is a UK based wine travel website that helps wine lovers tailor their trips to wine regions. I met one of its founders, Diana, last year and I have been lucky enough to do a little work with them (test how much you know about Australian wine). If you’re planning a wine focussed holiday it’s definitely a site worth checking out. For the foreseeable, I am planning on blog posts once a week. This won’t address the scary backlog but it will be achievable and keep me sane while working with so many great people and organisations. However, the Eating Adelaide Facebook page will continue to have very frequent food related posts and if you follow me on instagram you’ll enjoy a sneak peek of all the eating I’m doing! 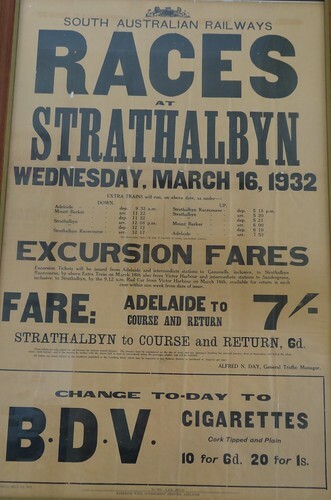 It’s hard to believe, but this year will be the first year that will see Adelaide Hills wines served exclusively at the Strathalbyn Cup. Sidewood Estate approached the Strathalbyn Racing Club in a bid to ensure that premium Adelaide Hills wines would be served during the event. Fortunately – particularly for thirsty punters – this idea received a positive reception and on 11 January the wines of Sidewood, Bird in Hand, Golding and K1 by Geoff Hardy will be making their debut appearance. General admission is $20 for adults but for $100 you can buy a ticket for the Sparkling Summer enclosure with a private outdoor picnic area (trackside of course), food vouchers and four glasses of Adelaide Hills wine as well as a commemorative glass. Tickets are, of course, available on line.